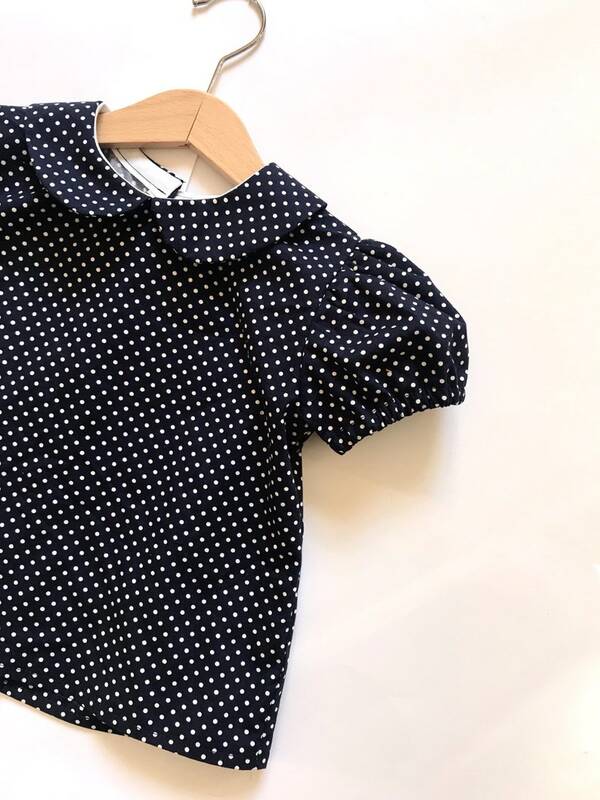 This girls blouse is made from navy cotton fabric with a white polka dot print. 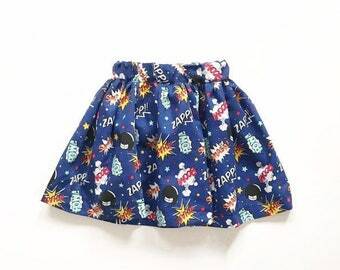 Pair it with jeans, skirts or under one of our adorable pinafore dresses! 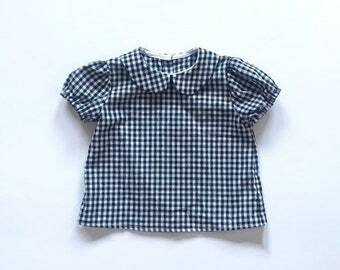 This girls top has short puff sleeves, a Peter Pan collar and navy buttons down the back. If you are unsure which size to go for, please contact us for specific measurements. 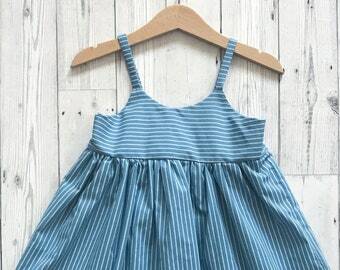 If you would also like to order this dress in an older size, please contact us directly for a quote - depending on fabric available, we can go up to age 10. This top is easy to take care of. We recommend washing this dress at 30 degrees with other similar colours. It is safe to be tumble-dried and ironed. 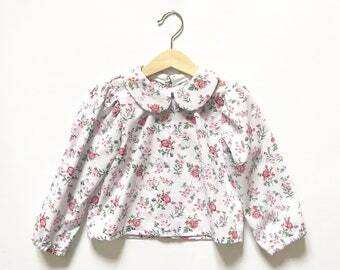 This girls blouse is also available in a number of other colours and patterns, check out the 'Tops' section to see the full range! We are always happy to help and have a chat, so just drop us a message or connect on Instagram/ Facebook/ Twitter. We donate £1 from each order to The Teapot Trust, a charity who provides art therapy services to children with chronic illnesses in the UK. Registered charity number SC041885. This top is super cute, easy to style and well made!